Let’s catch our collective breaths, because we cheered loud and hustled hard at the 2018 Cyclocross National Championships in Reno, Nevada. We ran from the ditch to the sandpit, past the barriers and across wide open fields to cover nail-biting battles in both the men’s and women’s elite races. We scrambled up rocky inclines to witness the dueling pairs of Hyde and Powers and Compton and Noble skidding down off camber turns. Here’s what we saw at nationals. Ellen Noble’s taken some notable holeshots this season, leading races at Hamme and Overijse in Belgium, so when she went to the front in Reno few fans were surprised. (Excited, yes. Surprised, no.) By the sandpit, just minutes into the race, she’d already gapped Kaitie Keough and isolated Katie Compton off the front, setting up a mano-a-mano battle. In the men’s race, Tobin Ortenblad bunny-hopped the set of three concrete stairs and took the lead, quickly forcing a selection of six contenders. A half lap later, Jeremy Powers took the front of the race, and set a pace only reigning national champion Stephen Hyde could hang with. The formerly undisputed king of U.S. cross, Powers has struggled with a recurring heart condition this season. Though he’s factored in a number of races, he has failed to notch any UCI C1 wins. His return to form at nationals harkened back to the season opener in Rochester, New York, when master (Powers) and pupil (Stephen Hyde) sprinted to the finish. In Reno, Hyde said he used every trick Powers taught him and more to gain a gap before the final run-up. Hyde said he watched the line Powers took into the wooden bridge every lap, and then took the opposing line on the final lap to make his race winning pass. Compton led the race from midway through lap one, but she bobbled the final time down the off-camber descent with Noble hot on her wheels. In that fleeting moment, it looked as if the long reign of the American queen of cross might finally come to an end. Keough, who currently sits second in the UCI World Cup ranking, broke into tears in her post-race interview. She felt this might have been the year she finally beat Compton. Meanwhile, an exuberant Noble pumped her fist as she crossed the line in second, less than 10 seconds back. For the American women, making Compton look over her shoulder as she powered to the line at another national championship was a kind of victory in itself. A handful of elite racers will head to Europe in the coming weeks for the final two rounds of the UCI World Cup, and then the World Championships. The rest will go home and begin resting. Keough is off to Belgium on Tuesday to prepare for Nommay, while Noble will arrive in advance of Hoogerheide. Both could potentially challenge for a podium at the World Championships. Meanwhile, after a recent run of disappointing worlds races, might this be the year Compton finally lands on the top step? Hyde is the undisputed leader of the men’s elite team, and has undoubtedly made worlds the cornerstone of his season. However, Ortenblad and Werner will be looking for worlds selections (and breakout rides at the championship race) as well. Powers didn’t make a trip to Europe this season, but given his recent return to form — if selected for the worlds team — we would expect him to make the journey overseas. The Giro d’Italia is well known for its epic mountain passes. From Andy Hampsten’s storied ride over the Gavia during a blizzard in 1988 to Chris Froome’s assault on the Colle delle Finestre in 2018, no other race inspires drama in the mountains quite like the Giro. Team Sky's Tao Geoghegan Hart won a second stage of the Tour of the Alps in the space of four days on Thursday as his teammate Pavel Sivakov increased his overall lead of the race. Italy's Fausto Masnada won Wednesday's third stage of the Tour of the Alps which saw Team Sky's Pavel Sivakov hang on to the overall lead despite sniping attempts from Vincenso Nibali. Team Sky's Pavel Sivakov won the second day of racing to take the leader's jersey in the Tour of the Alps and his first senior victory on Tuesday. Britain's Tao Geoghegan Hart claimed the first senior victory of his career by winning the opening stage of the Tour of the Alps on Monday, while Chris Froome finished sixth. 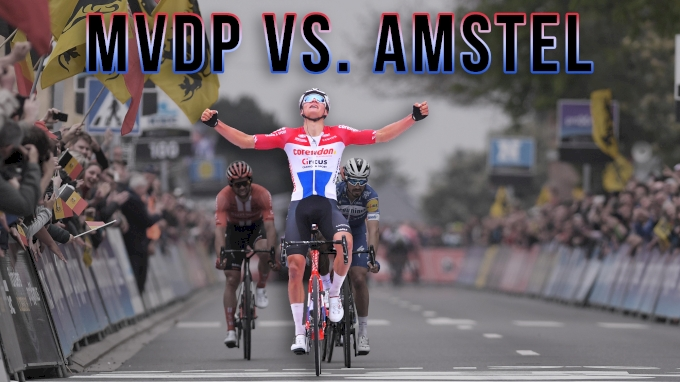 Rising star Mathieu van der Poel sprinted to victory in the Amstel Gold on Sunday to give the Dutch a first victory in the sole cycling classic on their soil this century.